Depending on the intensity track of Typhoon Lionrock, it could pass over Japan with the strength of a lion or or the weakness of a lamb. The intensity track is not clear as yet and some forecasters have it remaining a stronger storm while others have it downgrading significantly in intensity. Lionrock is still a distance away from Japan, currently 307 miles southeast of Kadena AB, Okinawa, Japan, and is moving east northeast at 9 knots per hour. Maximum sustained winds are 105 knots gusting to 130 knots. Further movement will definitely lock in the forecast in the next 24 hours. 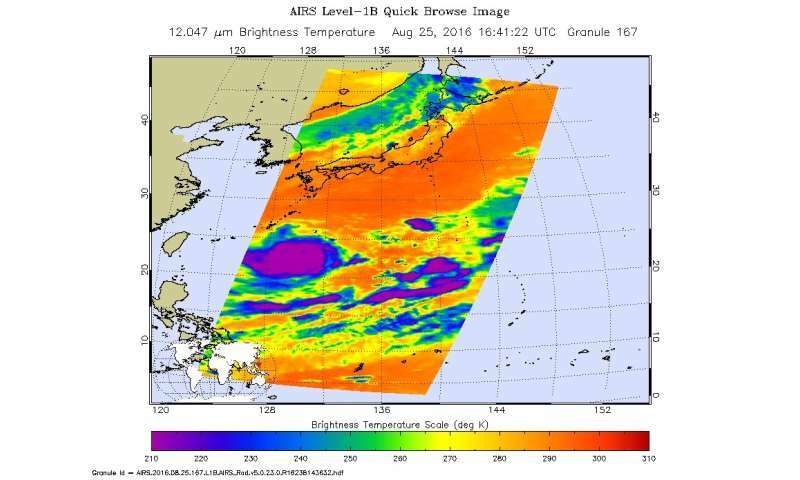 The AIRS instrument on the Aqua satellite captured this infrared image of the clouds surrounding the typhoon on August 25, 2016, showing very cold cloud tops (in purple) signifying the most intense part of the storm. The Suomi NPP satellite captured a dramatic image of Typhoon Lionrock on August 25, 2016. The tight spiral of the storm indicates its current strength as a typhoon although forecasters do expect the storm to weaken in the near term due to a subtropical ridge which is directing its path. Predictions are that Lionrock will move northeast and will slowly weaken for a day, before briefly restrengthening . The storm will veer northwest and make landfall near Tokyo on August 30th, at 65 knots. 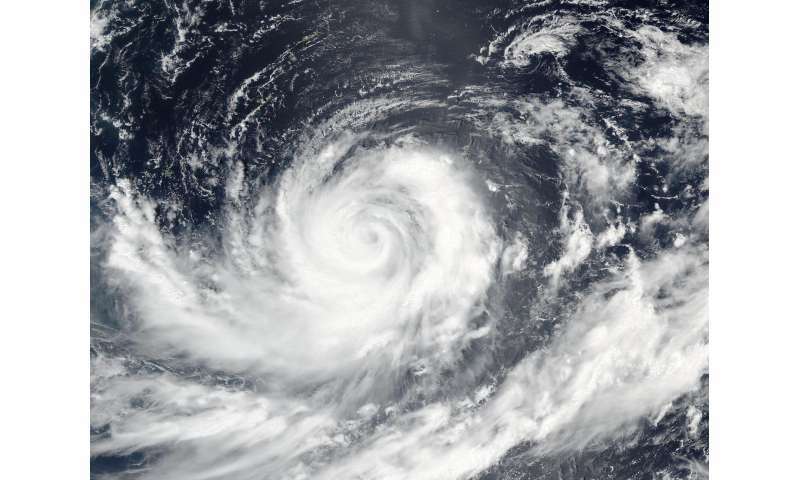 After crossing Honshu, Lionrock will turn extra-tropical in the Sea of Japan.